A top-rated college prep program fostering culturally-attentive, academically successful students. 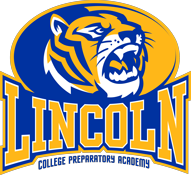 Home to challenging and rigorous programs, Lincoln College Preparatory Academy is a unique, culturally diverse learning community that delivers an exceptional educational experience. Expert faculty, civically-minded students, caring and supportive parents along with engaged community partners work together to create a school that exemplifies the best of public education. Lincoln also offers a top-rated International Baccalaureate (IB) program. The IB program is designed to foster creativity in learners and become part of a global learning community where critical thinking skills are nurtured along with positive classroom culture. The IB program aspires to develop well-rounded students who make ethical decisions and are prepared to apply lessons in real-world situations. Students at Lincoln have the opportunity to participate in a wide range of activities and programs. With a full array of high school sports, Lincoln’s athletic teams have experienced successful seasons over the years. Middle School (6-8) Admission Requirements: Applicants must score at or above the 60th percentile on a national standardized reading and math test to be eligible for entrance. Students must also have a record of good citizenship and a cumulative GPA of 2.5 or higher. Previously enrolled students do not need to re-enroll for high school as long as they maintain the below requirements. High School (9-12) Admission Requirements: Applicants must score at or above the 60th percentile on a national standardized reading and math test to be eligible for entrance. Students must also have a record of good citizenship and a cumulative GPA of 2.5 or higher. Current high school students must be on track to earn four full credits of a foreign language to be admitted. KCPS is offering the following sponsored testing dates for the iReady Assessment (grades 5-9) and NWEA (grades 10-11), which is required for entrance into Lincoln. All tests will be given at Manual Career Center, 1215 E. Truman Rd., Kansas City, MO, 64106.